A hospital is not just a brick and mortar structure but a "home of healing". Patients come to hospitals to alleviate their trauma and cure their illnesses. The environment at the hospital must be congenial to facilitate healing and improve health. Much of this depends on the architecture of the hospital. 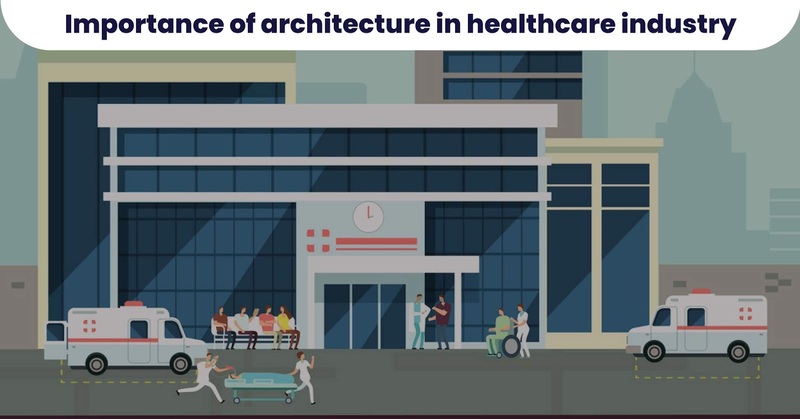 Yes, the importance of architecture in healthcare has been clearly established ages ago. In the 19th century, the famous "Lady with the Lamp" Florence Nightingale clearly emphasized the importance of physical elements like lighting and sound on an individual's health. Levi's "Stress theory" in 1972 clearly underlined the relationship between the structural component of a physical building and the human component of a patient's emotions. 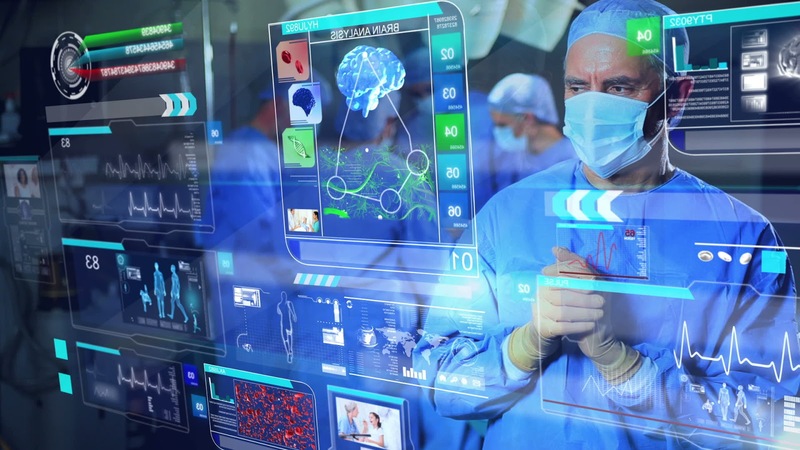 All this research just proves the fact that the health of the patients depends largely on the hospital's architectural design and environment. The architectural elements of a building which govern the health of patients directly are air, light, greenery etc. 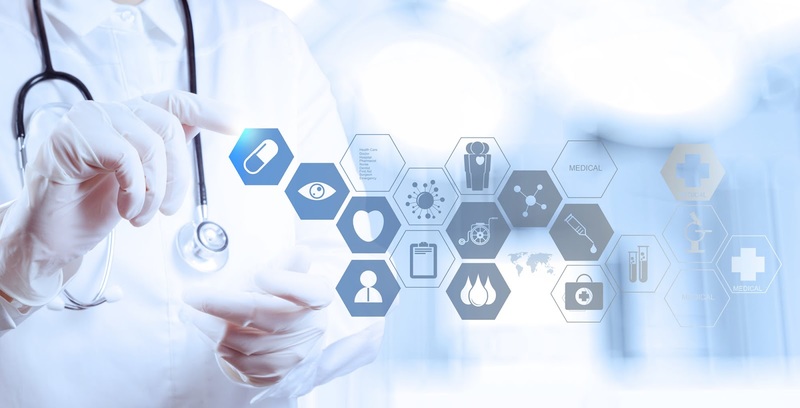 Apart from this, new concepts called active design and resilient design have also emerged which also play a pivotal role in healthcare architecture. The air inside a hospital premises is responsible for improving a patient's health or for inducing infections. Yes, most hospitals have close-walled, air-conditioned spaces that cause the stagnation of air. This stagnant air breeds microbes causing infections. A hospital's architectural design must make provision for "induced natural ventilation". Here air vents close to the ground allow cold air to enter and this pushes the warm air up and out of the building through openings positioned in the ceiling. Such induced natural ventilation provisions can be provided along the corridors and passageways where the patient traffic is considerable. Mechanical Cross-ventilation systems should be avoided at hospitals as they breed infections. 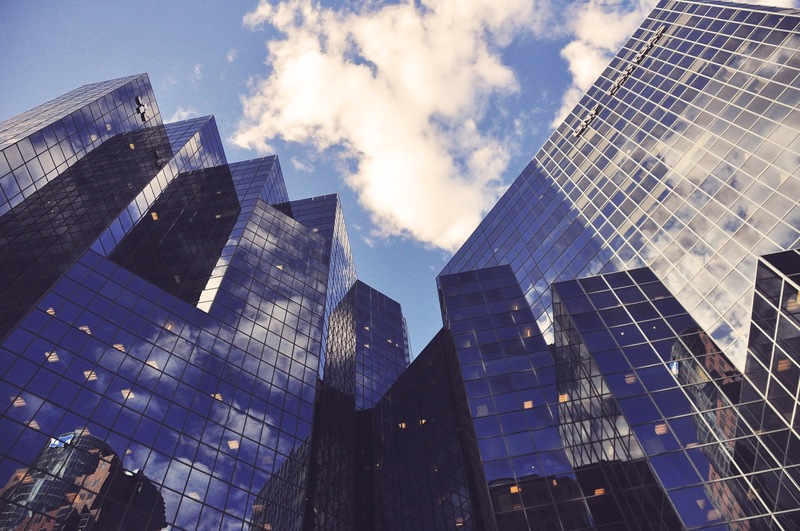 For healthcare premises, natural ventilation is the best. 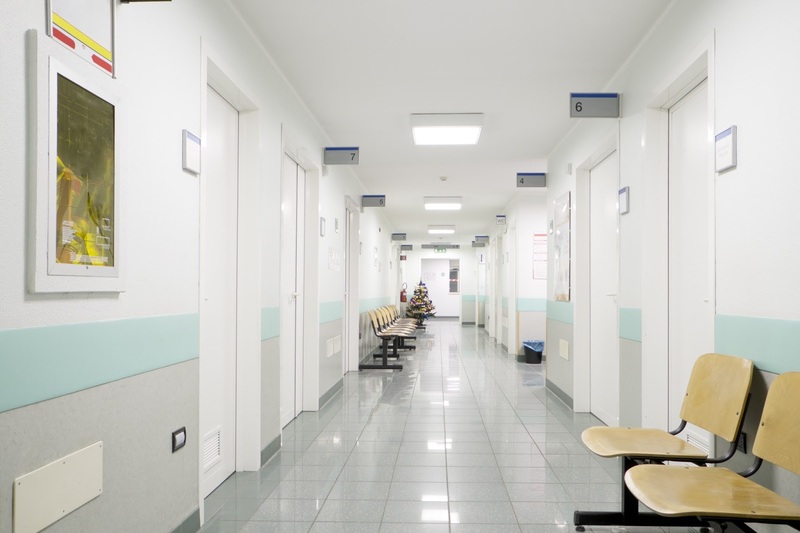 Lighting in a hospital governs the state of a patient's mind and health. Hospitals are usually well-lit to brighten the mood of the patients. But unfortunately, most of the light comes from artificial sources. Natural daylight has a therapeutic effect on patients with its high content of Vitamin D. Artificial daylight is also beneficial as it reduces sick days by reducing the cortisol levels but releases Greenhouse Gases. To prevent this, "green lighting" using LEDs is predominately used at hospitals. Lighting design of a hospital should also mimic the natural "circadian rhythm" of the body. This is accomplished by using blue-enriched lighting during daytime to give the "daylight" effect. Specially-designed Skylights enable this and provide better sleep at night. Solar lighting is also highly recommended for hospitals to conserve energy. Hospitals need electrical power 24x7 and conserving electricity through solar energy could result in considerable cost savings. The parking lots, rooftops and external walkways of a hospital can be installed with solar panels to generate electricity for lighting and heating water. Windows are the eyes of a building and the breathing spaces of a hospital. Yes, windows not only allow fresh air and daylight to enter the hospital but also allow the patients to have a view of the greenery outside. Ulrich's study in 1984 proved that patients who were housed in rooms with windows overlooking greenery recuperated faster than the patients who had only a brick wall to look upon. Other research studies have also proved that patients in windowless rooms felt more depressed and aggressive as they feel deprived of sensory feelings. Hospitals must be designed with optimum usage of windows in a room to enhance the well-being of patients. Greenery is the other element to be involved in hospital architecture. Green plants consume the toxic CO2 that humans exhale and release oxygen which is most needed for our respiration. They also provide a cooling effect on the hospital's atmosphere. Air-purifying plants also inhale the Greenhouse Gases and cleanse the atmosphere. This is why most hospitals prefer to be dotted with green plants inside and are landscaped with greenery outside to provide a congenial atmosphere for healing. Active design is a new concept of architecture which has found popularity with hospitals This design is based on the increased use of active spaces where mobility is a must. Yes, hospitals are now being designed to accommodate staircases, pathways, walking and cycling trails where physical activity is a must. This design intends to enhance the physical mobility of all doctors, nurses, hospital staff and even patient attendees to help them adopt an active lifestyle by burning calories. Resilient design is a form of architectural design that has emerged recently to combat natural disasters. Yes, hospitals must be designed architecturally to be ever-ready for natural calamities like storms, earthquake, hurricanes etc. This resilient design involves meticulous planning and strategies to safeguard both patients and hospital staff and equipment during emergencies. One strategy is to keep the ICU, operating theatres and other critical patient zones off flood limits. The other is to ensure that the hospital is never cut-off from electrical power even during emergencies. Providing resources for ventilation is also critical in times of emergency and this is part of the resilient design plan. Hospitals are moving towards the "green hospital " design which is modelled on conserving natural resources like water and sunlight and minimizing the harmful hazards of hospital supplies and waste. Green hospitals justify their CSR-Corporate Social responsibility in keeping the environment clean and this enhances their respect and reputation. Architecture plays a pivotal role in healthcare and every hospital should realize this and make "green architecture" their foremost priority in delivering patient care.